Do we have to honor our parents even if they are not worthy of honoring? Do we have to tell the truth in every situation? A scene from “Living Biblically” from CBS. Episodes 5 and 6 of CBS’s Living Biblically explore the question of just how absolute God’s laws are. Does the prohibition on false testimony require us to tell the truth in every situation, regardless of extenuating concerns? Does the obligation to honor one’s parents apply even to parents who don’t deserve a child’s honor? Network television wants to know. It’s fantastic to see the entertainment world treating biblical morality and the Bible’s standards with a little curiosity rather than outright derision. That’s why we thought it would be good to offer an episode-by-episode review, just to set the record straight on what the Bible really says and how it’s lived out according to the traditional interpretation of the people to whom it belongs. 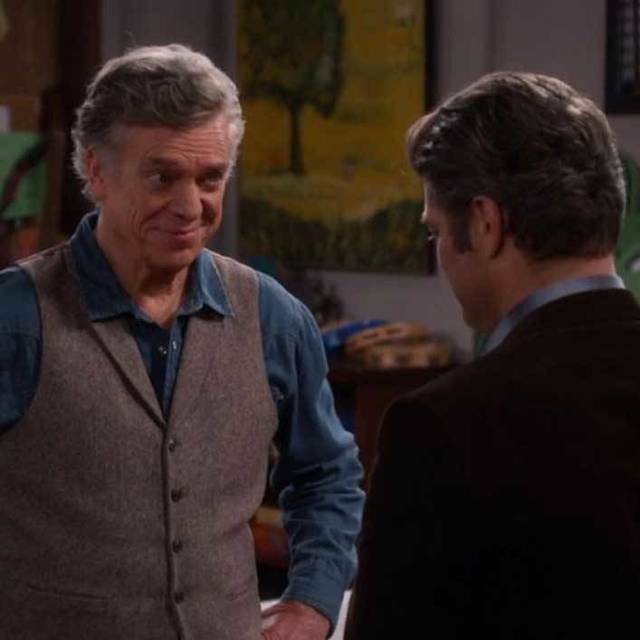 Episode 5 of Living Biblically puts our hero up against the dilemma of trying to honor a parent who does not seem to merit the honor. 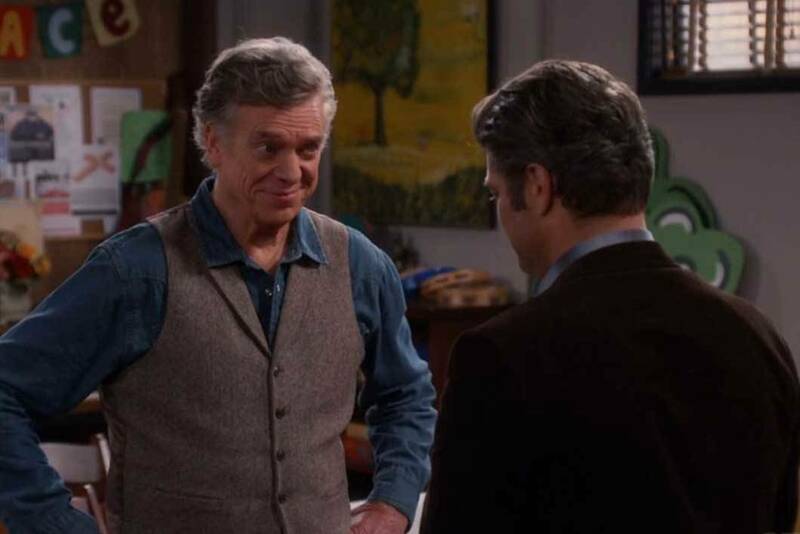 Chip tries to find a loophole to get out of the obligation of honoring his father when his obnoxious and dysfunctional father drops in for a surprise visit. Chip does his best. By the end of the show, he makes a public speech about how he forgives his father for his failings, and his father, who is in the room, feels somehow honored and validated. Forgiving someone is not the same as honoring someone, and publicly embarrassing someone does not qualify as honoring a person either. But Chip is right. It’s sometimes hard to justify honoring a terrible parent. That’s why it’s a commandment. If we were required to honor only parents who deserve to be honored, it would not need to be ranked on the level of a commandment next to the prohibition against murder. On a side note, not connected with the subject at all, episode 5 of Living Biblically concludes with our hero Chip blowing a ram’s horn in his apartment to announce the new moon. Does the Bible require us to sound a ram’s horn on the new moon? No. Numbers 10:10 commands the Aaronic priesthood to sound “silver trumpets” (not a ram’s horn-shofar) at the beginning of the month, but this was not an obligation for a layperson, and it’s not an obligation for the priesthood either outside of the Temple. What should a parent say if his five-year-old daughter asks him if he thinks her coloring page is pretty? What should a husband say if his wife asks him, “Do these clothes make me look fat?” According to Episode 6 of Living Biblically, the Bible insists that we tell the truth. The episode begins with Chip attempting to purge all lies from his life and tell only the truth to fulfill the commandment, “You shall not bear false witness against your neighbor” (Exodus 20:16). His God Squad (a priest and a rabbi) attempt to warn him from taking the path of brutal and total honesty. However, Chip finds himself telling prospective coworkers the truth about the poor working conditions at the newspaper where he is employed, telling his wife things that might hurt her feelings, telling his best friend that he dislikes his girlfriend, and refusing to lie to protect his wife from an awkward social situation. Chip takes the commandment against bearing false witness as if it were some sort of truth serum that forces him to speak his thoughts despite better judgment. Like many Bible readers, the writers of the episode misinterpret the actual intent of the commandment. Exodus 20:16 is a prohibition on committing perjury in a court of law. The commandment refers to testifying in court, under oath. It’s not a commandment to tell the truth and only the truth in every situation and conversation regardless of extenuating circumstances. According to Jewish law, there are some occasions when a person should not tell the truth. For example, if telling the truth would betray a person to an evil pursuer, causing potential harm to the person, it would be a sin to do so. A moral dilemma of that caliber might be more than you should expect from a twenty-minute sitcom episode, but introducing some complexity might make an otherwise tedious twenty minutes more interesting. When CBS first announced the premiere of the series Living Biblically, we anticipated the type of anti-religious, anti-God cynicism and mockery that the entertainment industry usually assigns to people of faith. To the credit of the writers and producers of the show, they have thus far avoided that cliché. The television show is introducing the Bible to people who would never otherwise have considered it to be a guide for life or source of moral authority, and it’s doing so on the level that most sitcom viewers are probably ready to engage.